SIU’s Standard Underwriters Network (SUN) division is the point of access for independent agents throughout the Southeast for their admitted market needs. Utilizing multiple carriers to place admitted business, SUN’s competitive edge provides producers with more power in the standard marketplace. Standard Underwriters Network (SUN) delivers the coverage you are looking for with the best pricing available. 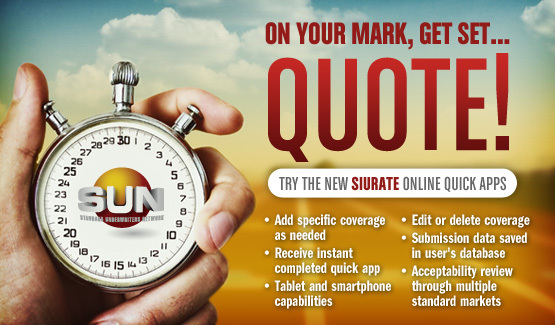 Contact SUN today at (PH) 678.498.4800 or (FX) 678.498.4808.